PRICED TO MOVE $2,200 below Kelley Blue Book!, EPA 30 MPG Hwy/20 MPG City! CARFAX 1-Owner, ONLY 17,213 Miles! NAV, Sunroof, Heated Seats, All Wheel Drive, Rear Air, iPod/MP3 Input, Satellite Radio, Premium Sound System AND MORE! This 435i xDrive is priced $2,200 below Kelley Blue Book. Sunroof, All Wheel Drive, Rear Air, Turbocharged, Premium Sound System, Satellite Radio, iPod/MP3 Input, Onboard Communications System, Keyless Start, Dual Zone A/C Keyless Entry, Steering Wheel Controls, Electronic Stability Control, Heated Mirrors, Bucket Seats. TECHNOLOGY PACKAGE Head-Up Display, Navigation System, Remote Services, Advanced Real-Time Traffic Information, BMW Online & BMW Apps, Instrument Cluster w/Extended Contents, M SPORT PACKAGE Remove Increased Top Speed, Alum Hexagon Trim w/Estoril Blue Matte Highlight, Standard Suspension, Shadowline Exterior Trim, Aerodynamic Kit, M Steering Wheel, M Sport Pkg, Wheels: 18 x 8 Star-Spoke (Style 400M), Tires: P225/45R18 All-Season, DRIVER ASSISTANCE PACKAGE Rear View Camera, Park Distance Control, COLD WEATHER PACKAGE Heated Front Seats, Heated Steering Wheel, Retractable Headlight Washers, TRANSMISSION: SPORT AUTOMATIC (STD). 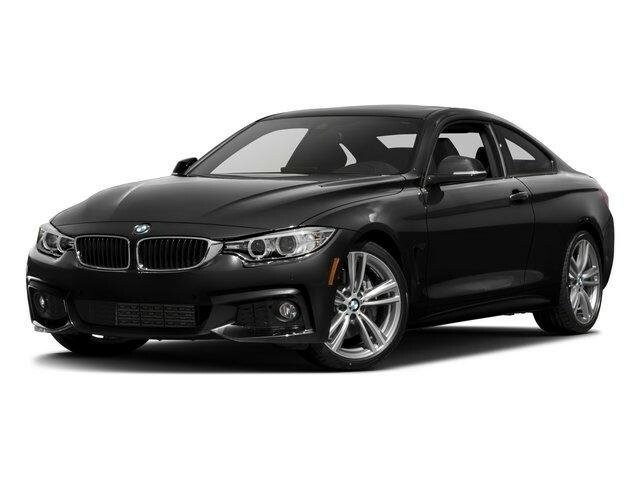 BMW 435i xDrive with Black Sapphire Metallic exterior and Black Dakota Leather interior features a Straight 6 Cylinder Engine with 300 HP at 5800 RPM*. Edmunds.com's review says "Dynamic handling; powerful yet fuel-efficient engines; upscale interior with straightforward controls and spacious seating.". Great Gas Mileage: 30 MPG Hwy.